It has been a busy week at work, socially, and commenting on the Republican National Convention. So I am taking a bit of a break to do some yard work this morning before it gets too hot, to do some other work around the house; and later, to grill some beer brats this afternoon before we simply chill out with our Papillon girls Minnie and Izzy. But just a brief thought. When I watched portions of the convention, and the message delivered at it by Chris Christie and various others, especially the keynote address of Donald Trump I was felt I was watching a really badly done version of Leni Riefenstahl’s propaganda masterpiece The Triumph of the Will, albeit without the artistry or the Hitlerian charm. 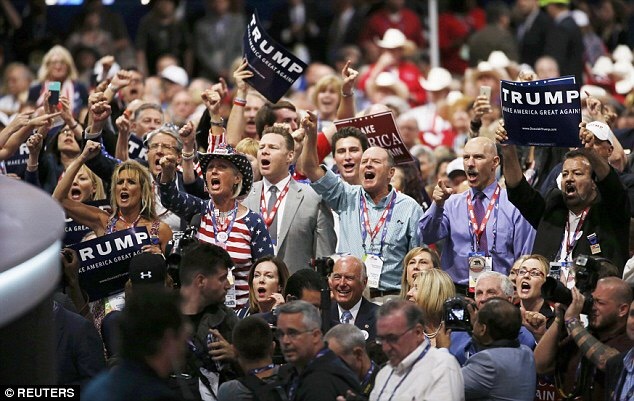 The appeal to power, strength, might, and the demonization of all domestic polical opponents inside and outside the GOP; the identification of foreign Devils, religious enemies, and immigrants to stoke fear and hate was all to be seen, as was the promise that Trump, and Trump alone could make the country safe from these devils and prosperous. The desire to return to a world that no longer exists was the heart of the GOP message, just as it was for the Nazis, the existing world must be destroyed and a new world built in the manner of the old must be established. But sadly, most Americans who have only the barest of comprehension of the scope of the Nazi regime, or for that matter any other dictatorship did not notice. Richard Evans in his book The Coming of the Third Reich wrote about the 1932 presidential election campaign in Germany which pitted Hitler against the incumbent, the aging scion of German conservatism, Field Marshal Paul Von Hindenburg. Does this not sound familiar? So anyway. I am planning a short article for tomorrow but I need to get to work.